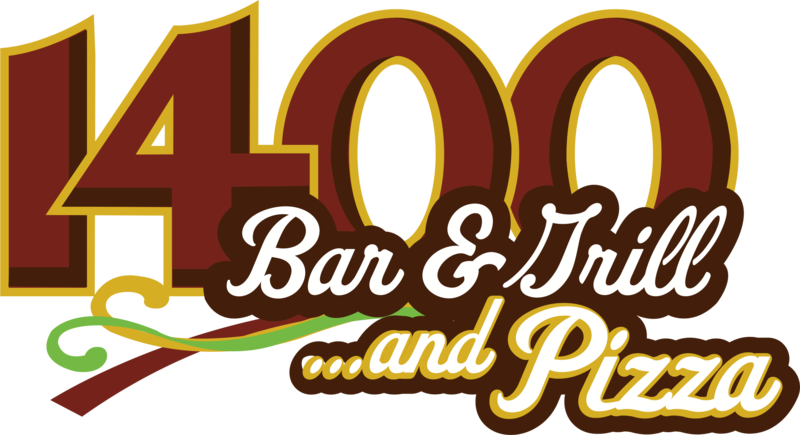 In August 2016 we celebrated our 5th anniversary by opening …and Pizza next door to 1400 Bar & Grill. We gutted the former Croll’s pizza and created a clean, warm and friendly place to enjoy Pizza or any of our other delicious menu items and drinks. Our pizza is fresh and delicious, with high-quality flour, our own special blend of cheeses, unique and flavorful toppings and sauces that are just right. Add pizza to your dinner menu. It’s good! House-made red sauce, cheese blend, pepperoni, topped with house-made pickled peppers and parsley. House-made red sauce with our house blend cheeses.